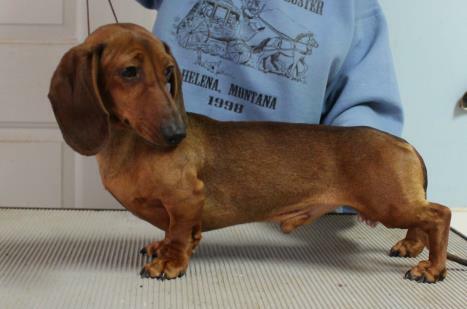 Willie is a smooth red brindle. His sire is Vindachs Katie's Whirlwind MS and dam Teckelwood Tillie at Vindachs MS. He has earned 9 points and three majors. "Red" is a young red male born on March 15, 2017. He a younger brother of "Boomer" and will start showing in the Spring of 2019. He has sired one litter. Spirit is a cream longhair who was born on November 4, 2016. This is "Spirit's" first show and show points. He will be showing throughout 2019. Tommie is a retired champion who is now 11 years old, but doing great. 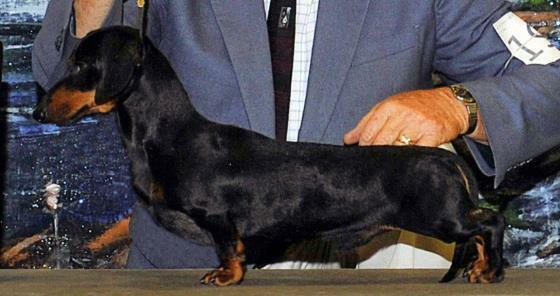 He has produced five champion, on of which is GCH Vindachs Evening Starr MS. Good work Tommie.